Sometimes it’s hard to find credible nutrition information. With everyone claiming to be experts, it’s hard to be sure of someone’s credentials. With Metrowest Nutrition you don’t have to worry about the advice you’re getting: rest assured that it’s accurate. Metrowest Nutrition is based in the Boston Area, with offices in Framingham and Newton. They offer nutrition counseling that “empowers individuals, families and the community as a whole to reach optimal health and wellness.” In addition to counseling, Metrowest Nutrition has a blog featuring recipes, food tips and tricks, as well as discussions on important nutrition-related news stories. Their website also has a list of Resources including recommended books and websites. 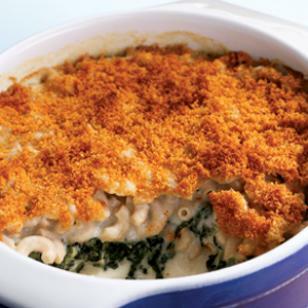 Lip-Smackin’, Toe Tappin’ Healthy Mac & Cheese!